Making its much-anticipated jump across the pond (and landing exclusively on our online shelves), skin care doesn’t get more ‘cult’ than U.S. brand Kate Somerville – especially the brand’s adored ExfoliKate range. Starring a duo of alpha hydroxy acids (glycolic and lactic) combined with Kate’s ‘three Ps for perfect skin’ (pineapple, pumpkin and papaya enzymes) this daily foaming wash goes a glowing step further than your usual cleanser, gently exfoliating dulling cells as it removes make up and surface impurities. This leaves skin not only refreshed and purified, but also smooth and radiantly even – and all without over-drying. 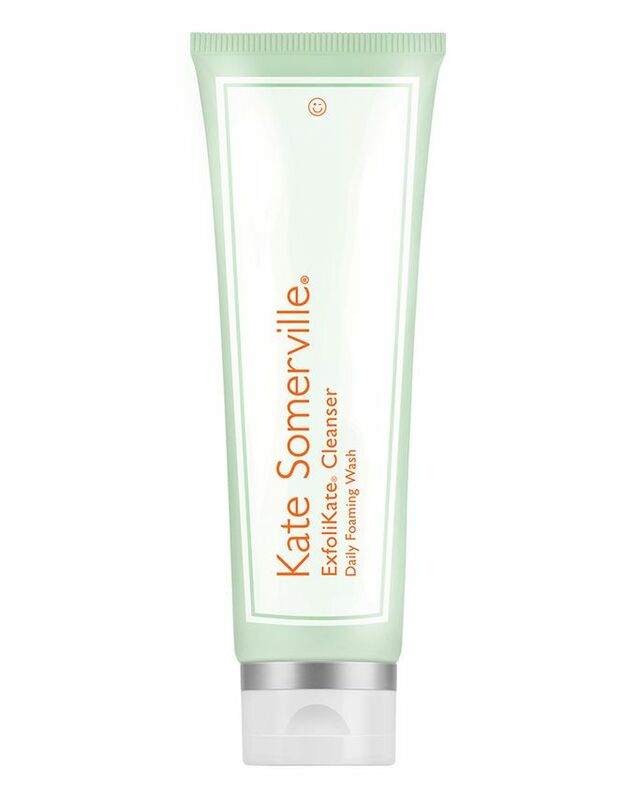 A seriously clever cleanser, Kate Somerville’s ExfoliKate Cleanser gently removes excess oil, make up and surface impurities while also exfoliating away dulling, uneven cells to diminish dryness and reveal unrivalled radiance. How does it reap such miraculous results, you might well ask? It’s all down to gently exfoliating ingredients, including a duo of alpha hydroxy acids – glycolic and lactic acids – and Kate’s ‘three Ps for perfect skin’: pineapple, pumpkin and papaya enzymes. These advanced additions work to counteract dullness, dryness and uneven skin tone and texture by loosening and sloughing away dead, dulling cells to reveal the beautifully balanced, even radiance beneath. Purifying without over-drying, Kate Somerville’s creamy daily foaming facial wash leaves skin fresh, soft and conditioned – it’s the perfect way to cleanse. Use AM and PM, twice a day. Apply a small amount to wet face and neck and massage gently for 30 seconds. A light refreshing cleanser doesn’t irritate. Smell seems kind of sour but not unpleasant. But the most effective from this skincare range is probably the exfoliator, really improved my skin. Feels luxurious, doesn't dry the skin out. I use it morning and night and leaves my face feeling smooth. A little of this goes a long way. I use it twice a week and it leaves my skin glowing, but not dry. Will repurchase! Good cleanser, cleans the face to "creak", may slightly dry the face-in General, does not work any miracles. It's main advantage is efficiency, a small pea on the whole face. I think one package is enough for at least a year of active use. It's a creamy cleanser with a fresh, zesty smell. It foams well, feels luxurious and provides clean, glowy skin. Never dried me out, unlike other acidic cleansers. Bought This one 3 weeks ago together with the exfolikate mask and they are both great. Love them and will buy them again. Perfect for a 2nd cleanse or morning cleanse. I have been loving using this cleanser! I use it in the evening as my second cleanse and I find it really helps brighten pigmentation left from spots. 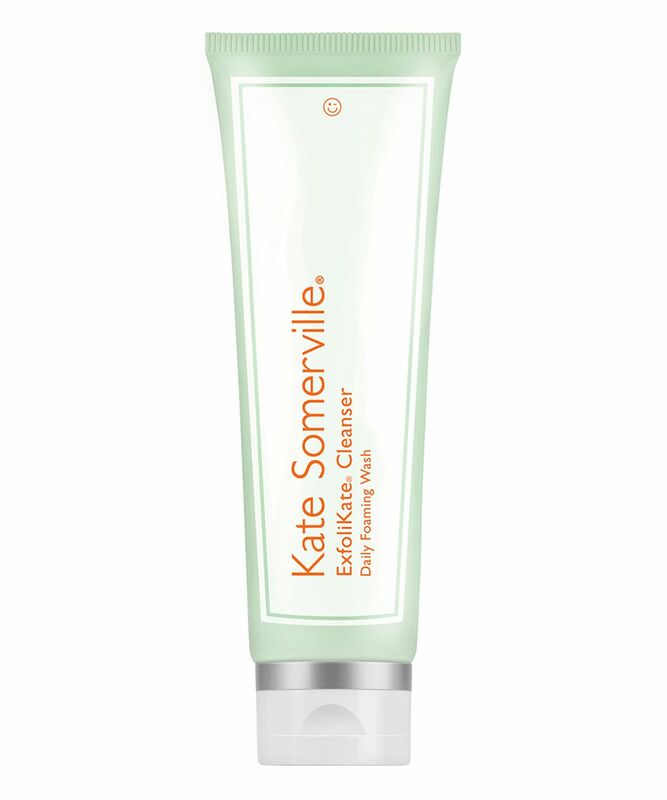 I used to use the EridiKate pink cleanser but found this to work much better on my problem skin - I think its the papaya enzemes! All in all, works wonders and would definitely recommend. This is by far the best cleanser I have EVER used. It leaves my face smooth, clean, fresh, bright and glowing. I’ve since bought the whole Exfolikate range and it’s all beyond AMAZING. My skin has never looked so good. I’ve recommended to all my friends and they have gone on to buy it too. But it now - you won’t regret it! Really one of the best cleanser ever! Highly recommend. It’s so creamy and soft feeling on your skin. after rinsing a feeling of purity but too much. Perfect for acne prone skin. I have seen a difference with this cleanser instantly. Love this cleanser. I’ve tried a lot and there are 3-4 that I really love (Oskia, Emma Hardi, Sarah Chapman and now this one) the skin look’s bright and the tone is even. I will re-buy this lovely product. Smells AMAZING really fresh and fruity. A slight gritty texture which I like gives a light foam but not soapy. Skin feels very clean but not squeaky clean which I actually hate. Will definitely buy again. Perfect 2nd cleanse. Don't waste taking your make up off with this one.